Sold by NewFantasiaDirect and ships from Amazon Fulfillment. The closed-back HD 25 are purpose-designed, professional monitoring headphones offering high attenuation of background noise. The HD 25 Light are closed, dynamic headphones for monitoring, recording, and outdoor applications. 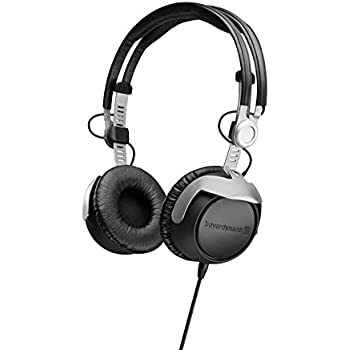 They are extremely comfortable, featuring a minimalistic headband and a unique capsule design, suitable for nightly DJ use. 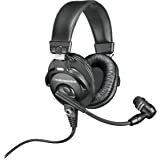 The HD 25 is very lightweight and comfortable, even if used for long periods of time. 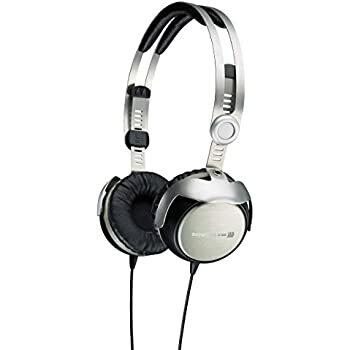 Considered to be the 'Industry Standard' for DJ Headphones, they are often found in DJ Booths, small and large, around the world. 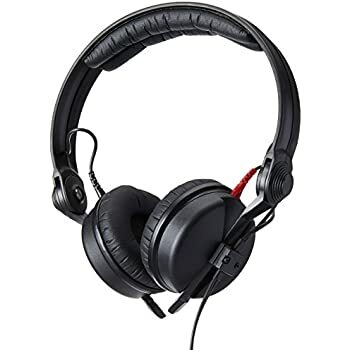 The HD 25 Plus provides the same quality and comfort as the HD 25 and includes extra equipment: Two cables, storage pouch, and secondary set of velour ear pads. 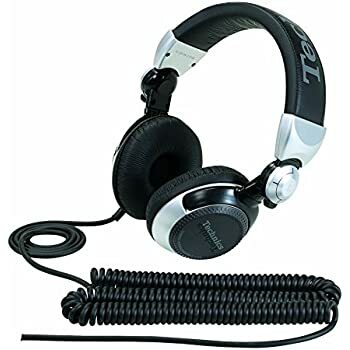 I've been using this model headphone for about 20 years professionally as a medical transcriptionist. Back in the day the cord was rubberized, non tangle and non kinking.. The phones themselves sounded great. I used them about 10 hours a day between work and recreationally. Fast forward to about 5 years ago when I bought a new pair after my original beloved set gave up the ghost and just fell apart. The cord was now a much cheaper plasticized cord that never straightened out and stayed permanently bent and kinked. One of the headphone wires developed a short or some sort of contact issue that made it stop working until the cord was unplugged from the speaker and then plugged back in. This happened constantly. Bear in mind that both cords going to both headphones are detachable and can be unplugged from the headset. 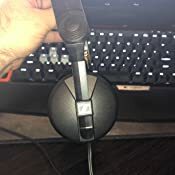 So I bought yet another pair that had the same issue of sound shorting out in one headphone until the cord was unplugged and then replugged. This happened multiple times daily. Same cheapo plasticized cord. Then I Googled and discovered that the cord connection was the source of a problem for many people, some of whom offered self-fixes on YouTube or other websites. A new cord is outrageously expensive, in the 40-50 dollar range. So in my experience these are not what they used to be, not even close. 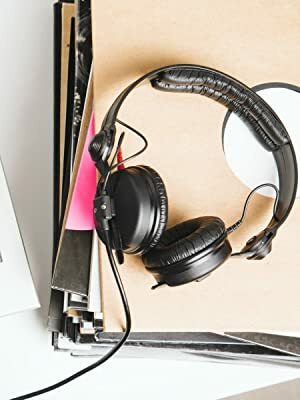 Be aware of the cord shorting issue before you buy and think about whether you want to risk having the same issue that has plagued many owners of these headphones. 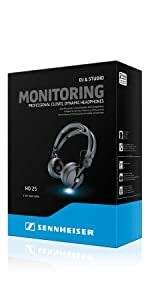 5.0 out of 5 starsFeel cheap but sound excellent! Originally, I was put off by the cheap feeling construction... That is, until I put them on and heard the quality of the sound. 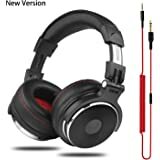 These are great headphones... 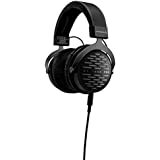 The range of the HD 25's is very good; I feel the bass is rich and and mids/highs are crisp. 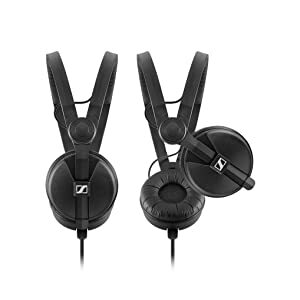 Sennheiser has found a good balance between low and high range frequencies. I cranked my volume pretty high and I did not hear any clipping or distortion. I am very please with these and they even sound better if you pair them with a DAC! 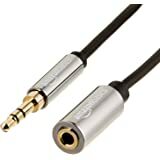 If you are an audiophile, these are great starters. 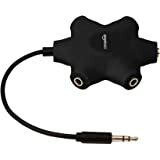 These are perfect for all types of music. I mostly listen to ska punk, rock, and metal and I am absolutely blown away by how much of my favorite tracks my pair of Beats earbuds was hiding from me. The bass is just right without being exaggerated and the treble is so spectacularly clear. 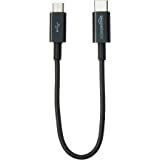 I only have two complaints: opening the headband seems to damage/pinch the wires that lead to the actual headphones, and within a week I experienced some times when my music would stop because my phone registered the device as having been removed when it hadn't. The second is possibly due to wear and tear (I was rather unkind to the wire during my first few days of use), but the first is definitely a manufacturing issue. I worry that over time I'll need to replace this wire. ...I really don't. And I'm returning them. 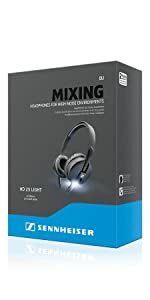 Always been a fan of Sennheiser, and that's why I couldn't believe (at first) that they weren't very good. But they really aren't. Not comfortable. Nothing special sound-wise. And for toppers, changing the cords, if needed, would be a total hassle. What more can one say? 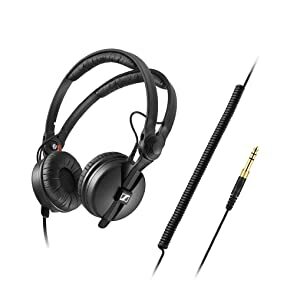 I had a pair of $300 Pioneer DJ headphones I loved, but needed replaced. 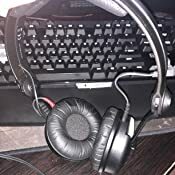 Decided to save 50% and give Sennheiser a try. Would I buy again? 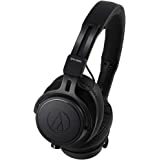 Hmm, honestly I wish I had spent the extra $150 and bought another pair of Pioneers, but I think for most people these will be adequate, I just don't think they are perfectly suited to bass-heavy EDM. 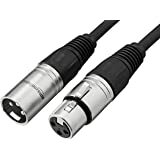 bought these to replace MDR-v6's I was using for film sound monitoring, the upgrade was a long time coming. a little tight, adjusted with a CAREFUL couple minutes of setting across the knees and warming with a hairdryer, removing/checking and repeating the process. Didn't want to chance over-stretching and attempt to re-compress. sound is phenomenal, arrived in the mail, immediately used them as a personal stereo off of a blackberry priv running Blackplayer at full volume, bass boost and amplifier(4kmDB) Behemoth, Justice, Anilah, RATM, and Chopin. 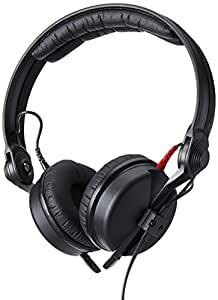 the HD25s struggled a bit with RATM and Justice's heavier bass, but at listenable headphone (master)volume (amp and bass still maxed) there were no issues. Very nice, lightweight, and simple construction that lends itself to getting beat up and still working perfectly. only downside for me is a personal preferance, I CANNOT find an aftermarket or OEM cable that allows for a left side cable. 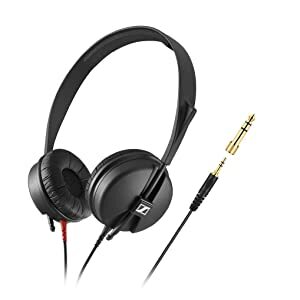 These are the same as the Famed HD25-1 II !!! Now at a cheaper price and with extra cables and ear cushions!!! Amazing crisp clear audio with articulate bass. 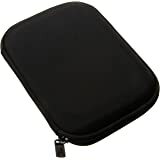 Great for DJING, or listening to music while walking around. 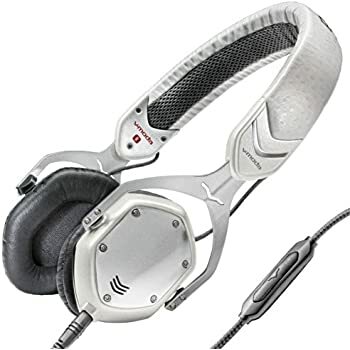 I've owned many of Sennheiser's headphones and these are amazing. They are so dynamic but you need a good equalizer to adjust them to individual preferences and different fidelity. Outstanding bass response. Love the modular wiring. Very comfortable too.